Re: Best Conference For Baseball - MIAA, NCAC, OAC? You asked about the conferences...the OAC is the best, then the NCAC. But there's a lot of variability there. The OAC has more consistently decent/successful programs than the NCAC, and has the better top end program, obviously. Wooster has traditionally been pretty decent but has slipped lately. I think a number of programs that are getting better have hurt Wooster's recruiting (Heidelberg, John Carroll, Case Western -- they took one that even Marietta I think would have liked to have had -- La Roche, Mount Union, Denison all are on the upswing. But the OAC also has a few programs that aren't very good. So I would look more program-by-program than conference-by-conference. If you're interested in a school, get in contact with them. Marietta had a recent All-American and MLB draft pick whose grandfather initiated contact with the school. Of course, Tim Saunders worked his tail off once he got to Marietta, but you can be recruited even if they don't see you at a showcase or something. D-III schools have small staffs and they can't be everywhere. Worst thing that happens is they say no and you move on! Chad Mullins or someone more recent? This class. I can't say for sure what MC's priorities were. Ticks all the boxes though. Never know, sometimes it comes down to financial aid packages. Should be a good one for Case. All this said, from what I know Marietta has a very strong class. I haven't seen any info on this year's CWRU class. Keen, Ossola, and Pakan will be tough to replace. Gish has an injury year to use, but don't know if he'll be back. Can you leak who you are referring to? The Express isn't on the Spartans' sched this year. I now suspect you mean Aaron Cain (Akron Hoban) following his brother Kerrigan, who will be a Jr at CWRU, both were All-Ohio selections. Funny, the Spartans are on Marietta's! April 6th, DH at Case. Weather permitting, as always in East Cleveland lol. 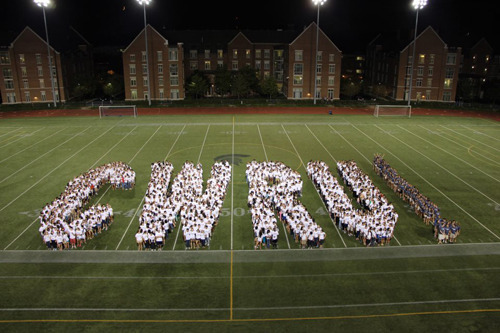 Yep its on CWRU's now.